The annual Eastern Wyoming College Winter Concert. The first concert will be Thursday, Dec. 6, at 7 p.m. in the EWC Fine Arts Center in Torrington. The second concert will be Friday, Dec. 7, at 7 p.m., at the EWC Branch Campus, 203 N. Sixth St., in Douglas. The Torrington concert will feature the EWC Collegiate Chorale, EWC College, Community Band and the EWC Master Chorus, Community Choir. There will be a reception and refreshments. Janet Howard will be the accompanist. EWC Music Instructor Michael DeMers will conduct both concerts. The concerts are free and open to the public. For more information, call 307-532-8368. 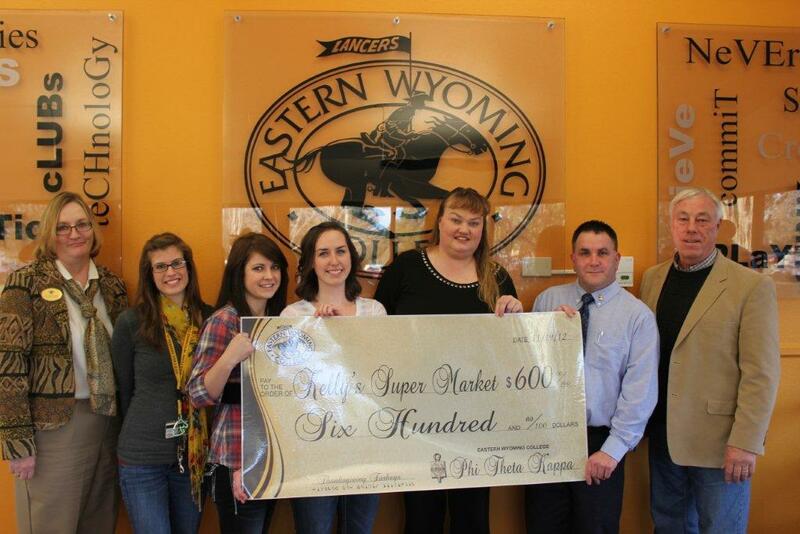 The students in the Phi Theta Kappa Honor Society at Eastern Wyoming College participated in an Honors in Action Project focused on the theme of competition for food across the globe. As one of the activities within their project, the students have partnered with the Department of Family Services in Torrington to purchase the turkeys for this year’s community Thanksgiving baskets. The students were able to raise $600 through the raffle of an IPad mini. Those funds will be used to purchase not only the turkeys for this year’s baskets, but additional vegetables for inclusion in the baskets that will help recipients have a healthy and happy holiday. Chief Justice Marilyn S. Kite announced the Supreme Court will hear an oral argument in Torrington, Wyoming on November 27, 2012 at Eastern Wyoming College. Oral argument will be held in the auditorium at the College beginning at 10:00 a.m. The public is invited and encouraged to attend. The Justices will hear one criminal case, Travis J. Kovach v. The State of Wyoming. Mr. Kovach was found guilty by a Sublette County Jury of charges relating to an incident in which two elderly men were attacked following a minor traffic accident and were then forced back to Appellant’s hunting camp, where they were attacked again. Over the years, the Wyoming Supreme Court has held oral arguments throughout the State, bringing the Supreme Court to the citizens of Wyoming, who otherwise might not have the opportunity to see the Supreme Court in session. The public is invited to attend a financial aid information night at Guernsey High School, November 27th at 6:00 pm. Anyone considering or attending any post-secondary institution can learn more about scholarships and financial aid programs, as well as, receive help understanding and comparing college costs. For further information please call Molly Williams at 307.532-8325. 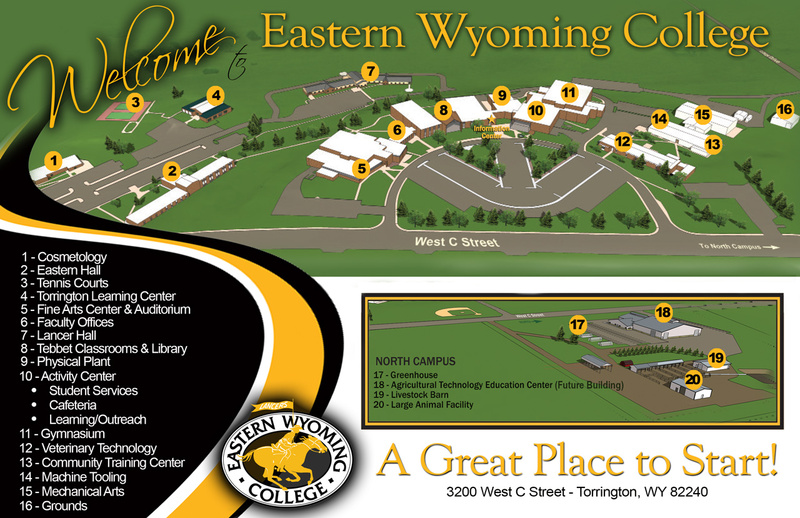 Eastern Wyoming College has been providing educational services to Converse County for over 20 years. During this time, the College has had the opportunity to forge many partnerships. Partnerships with the Converse County School Districts allow high school students to enroll in college courses at no expense to the student. EWC also works with the Wyoming Law Enforcement Academy by providing college credit for courses and guest instructors. A newly formed partnership with Converse County Memorial Hospital will allow the College to work with hospital administrators on the development of health technology programs that serve the needs of the county. During the past couple of months, these community partners and others have provided excellent support to the College as they seek to build a new campus in the Douglas Business Park. Individuals and businesses donated their time, talents and funds to support the tax election campaign. “The College is pleased to report that the many hours of dedicated individuals paid off in the successful election of the one-cent tax proposal. Next steps will include continuing to work with our community partners as we move forward to secure architectural services for the new facility,” shared EWC President Dr. Tom Armstrong. With two tournaments in the books to begin the year, Eastern Wyoming College’s Speech & Debate Team has kicked the year off in historic fashion for the fledgling program. Head Coach John Hansen and Assistant Coaches Ron Bronson and Anne Hilton laid the foundation last season for a team that could compete with the best programs in the region and nationally and that work has begun to reap benefits in the 2012-13 academic year. Their first tournament of the year was at the 31st Pioneer Trails Forensics tournament hosted by Casper College, on October 4-6th. First-year EWC students Shaylyn Reichert & Jessica Rammel, competing in their first collegiate debate tournament, were undefeated through three preliminary rounds. The pair ultimately advanced to the quarter-finals in Novice Parliamentary debate. Reichert also won an award as a 5th rated speaker in the field. The team of Tom Webster & Tim Vanlitsenborgh also competed and were eliminated after six rounds. On October 26-27thin Colorado Springs, the team faced their toughest test yet at the 68thJames “Al” Johnson Invitational hosted by Colorado College, boasting a field from four-year universities such as CU-Boulder, University of Texas at Tyler, Northern Arizona University, US Air Force Academy and University of Utah among others. In the JV debate division, Reichert & Rammel started on fire against a much tougher pool of competitors. Heading into the fourth round, the pair were the top-rated team in their division, winning four of their first five rounds against teams from Texas Tech University, Colorado Christian University and the University of Houston. In the end, Reichert & Rammel finished 12th in the field of nearly thirty teams. Webster & Vanlitsenborgh also had success, narrowly missing out on qualifying for the elimination rounds. “It’s indicative of the kinds of students we have here at EWC; they can go up against anyone in the country and have success,” said Coach Hansen. The team will travel to Northwest College in Powell, Wyoming on November 9-10th for their final tournament of the fall semester. For more information about EWC Speech & Debate, including scholarships for talented high school forensics students, call Ron Bronson at 307.532.8231.